Class action lawsuits targeting employers and other businesses for allegedly violating an Illinois biometric privacy law continue to roll into Cook County’s courts, as trial lawyers continue to pile up the complaints in the wake of a recent Illinois Supreme Court decision giving the green light to such actions. From March 29-April 1 alone, for instance, seven new class action lawsuits were filed in Cook County Circuit Court against employers and businesses of various sizes. Businesses and employers sued include Chicago’s Roosevelt University; CSX Intermodal; Hearthside Food Solutions; American Louver and Plasticade Products; Professional Freezing Solutions; America’s Auto Auctions; and All Will County Auto Parts and Wreckers. All were accused of violating the Illinois Biometric Information Privacy Act (BIPA). On March 29, five new class actions were filed in Cook County, including the lawsuit against Roosevelt. In that action, plaintiff William Walton, identified as a former Roosevelt University employee who worked in the school’s campus safety office from January 2018 to January 2019, accused the university of improperly requiring him and other Roosevelt employees to scan their handprints when clocking in and out of work shifts. Walton is represented by attorneys with the firm of Stephan Zouras LLP, of Chicago. That law firm is also representing plaintiff Sharonica Walker, who is suing Hearthside Food Solutions, a Downers Grove-based contract manufacturer for domestic and international food companies. Walker worked for Hearthside at its Bolingbrook location from February 2016-December 2018, according to the complaint. The complaint, also filed March 29, accuses Hearthside of making employees scan their fingerprints when checking in and out of work shifts to track work hours. Also on March 29, plaintiff Richard Rogers filed suit against CSX Intermodal Terminals. According to the complaint, Rogers worked for CSX as a truck driver. 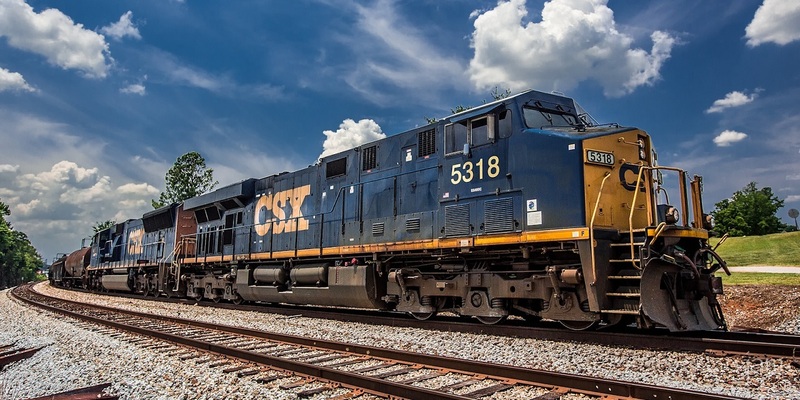 CSX, which is based in Florida, operates rail lines and freight operations throughout the U.S., including in Cook County and elsewhere in Illinois. According to the complaint, Rogers alleges he was required to scan his fingerprints each time he picked up or dropped off freight loads at various CSX railyards. The lawsuit asserts the class of additional plaintiffs in Rogers’ case could include potentially thousands of others who have worked for CSX. Rogers is represented by the firm of McGuire Law P.C., of Chicago. Plastic diffuser maker American Louver and plastic sign and traffic marker maker Plasticade Products, of Skokie. Former employee George Ayala, who worked for the company in March 2019, according to the complaint, accused the companies of making him and other workers scan their fingerprints each time they punched in and out of a work shift. Ayala is represented by the firm of Peiffer Wolf Carr & Kane APLC, of St. Louis. The Peiffer Wolf firm is also representing plaintiff Shannon Delgaldo, who is suing America’s Auto Auctions, of Chicago. Delgaldo said she worked for the company in 2018. Delgaldo also accuses America’s Auto Auctions of making workers scan their fingerprints on a biometric time clock. In addition to the March 29 lawsuits, plaintiffs also filed two more class actions on April 1. Plaintiffs Edwin Ortiz and Leopoldo Reyes sued All Will County Auto Parts and Wreckers of making them and other customers scan their fingerprints when purchasing items from the auto salvage operation. They are represented by attorneys Thomas M. Ryan and James X. Bormes, both of Chicago. And plaintiff Clifford Like filed suit against his former employer, Professional Freezing Services. The company operates a cold storage warehousing facility in Bedford Park. Like, who is represented by attorneys with The Fish Law Firm, of Naperville, accused the company of making employers scan their fingerprints to track their hours worked. The complaint said the lawsuit could include at least hundreds of employees. The class actions arrive as just part of the latest wave of such lawsuits since the Illinois Supreme Court ruled in January that plaintiffs suing under the Illinois BIPA law don’t need to demonstrate they were ever harmed by the alleged violations of the law to sustain their lawsuit. In that ruling, the state high court ruled a technical violation of the law without real harm is “not a mere technicality,” and expressed no concerns about the potential cost facing employers who use biometric punch clocks and security systems. In the lawsuits, plaintiffs have requested damages of $1,000-$5,000 per violation. Under the law, a single violation could include each time an employee scans a finger or handprint when punching in or out of a work shift. Such findings could leave even small employers or other businesses on the hook for millions of dollars in damages and fees.